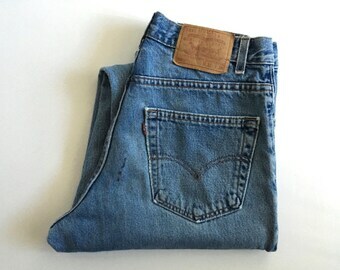 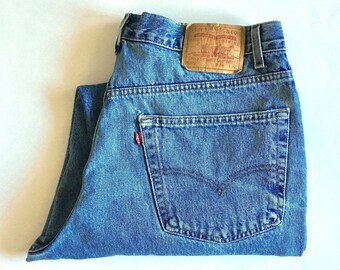 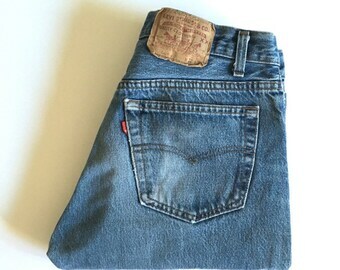 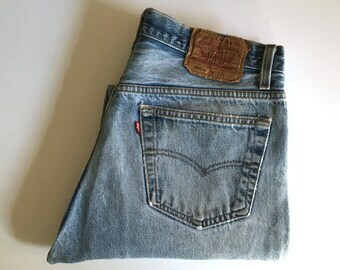 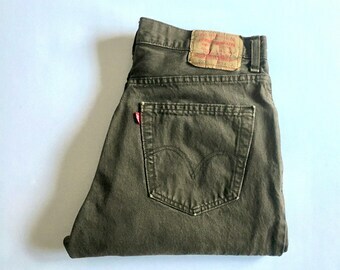 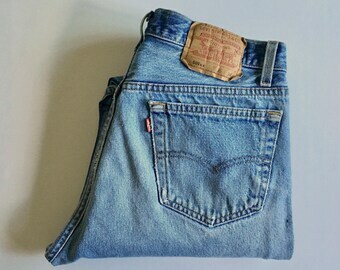 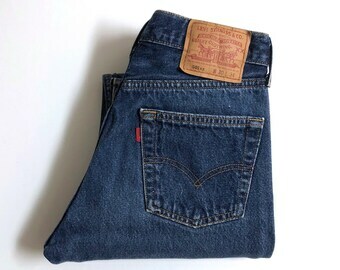 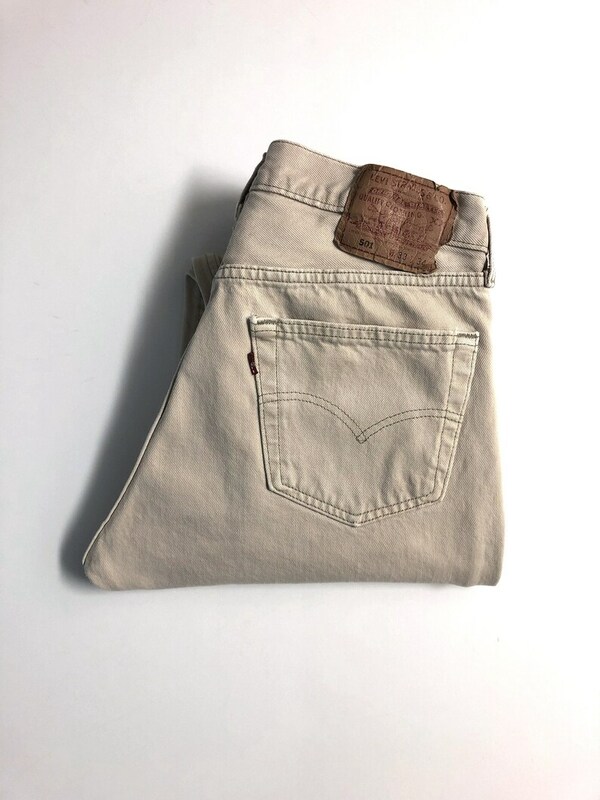 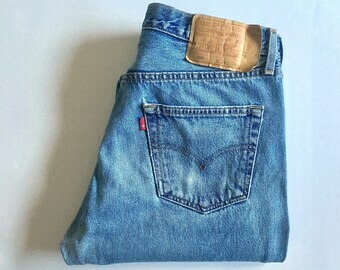 Vintage Men's 80's Levi's 501, Jeans, Tan, Red Tab, Denim (W31) These 1980's Men's Levi's 501 Jeans come in a cream/tan wash with a button fly with a straight leg with the signature red Levi's logo tab. 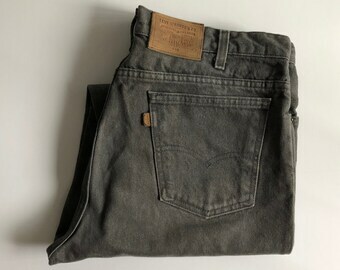 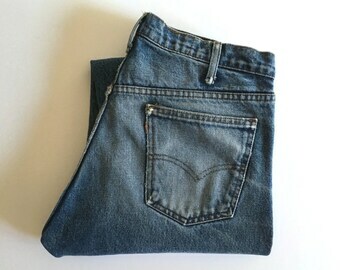 The denim is medium weight and without stretch. 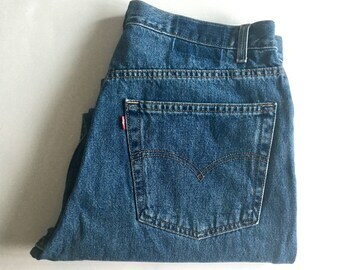 The jeans have shrunk over the years, so I have listed the actual size and tag size below. 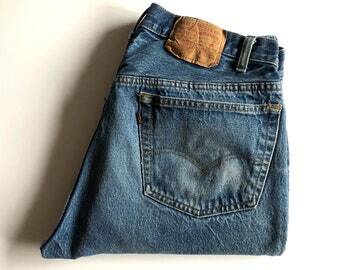 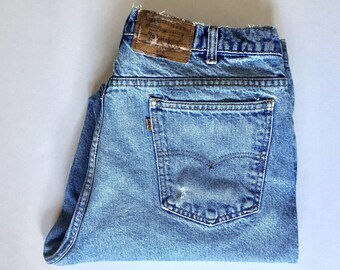 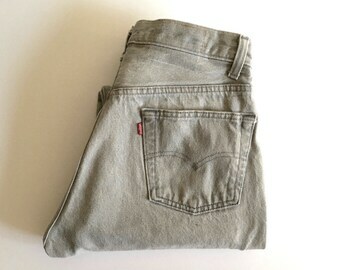 *These jeans are in excellent condition with some light stains on the front knee area.